This 11-day safari begins at the world famous Victoria Falls, where you will have spectacular opportunities to capture the perfect shot. 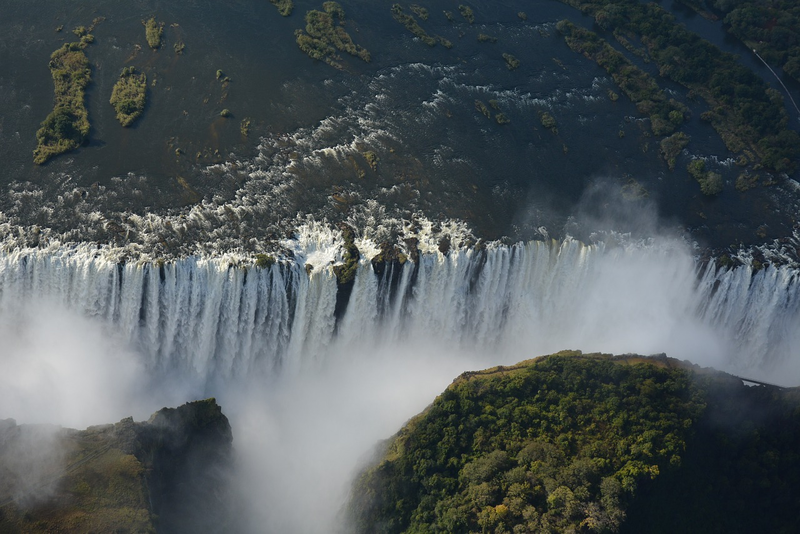 Fly over Victoria Falls in a helicopter for an unbelievable, bird’s eye view. Here you will also have the chance to capture shots of game from above as they roam around Zambezi National Park. 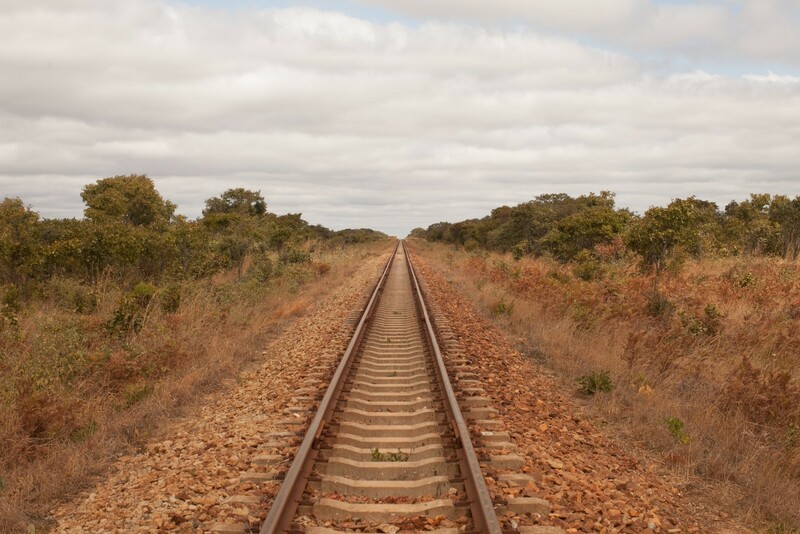 Then, hop aboard a rail car to Southern Hwange National Park. Spend some time in this beautiful ecosystem, immortalizing memories as you build upon your skills as a photographer. Visit a local village, browse the Ngamo Plains and explore the game in the Park. Next, transfer to Northern Hwange, distinctly different from the south in topography, habitats and species of wildlife. Here, embark on bush walks to photograph smaller, more hidden species, experience the nocturnal wildlife and see the Mandauv Dam. 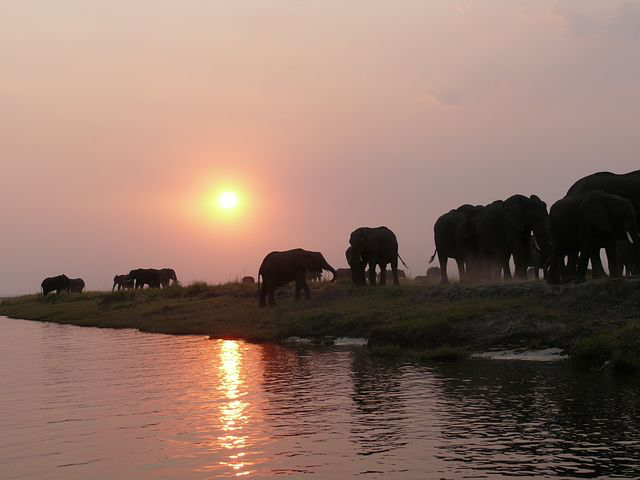 Finally, transfer to Zambezi National Park and finish your journey surrounded by wildlife, vegetation and the beautiful Zambezi River, where you can capture some of the most beautiful sunsets in all of Africa. This is truly a journey to be remembered, so grab your camera and come with us on an experience of a lifetime! Arrive at Victoria Falls Airport where your Zimbabwean Safari experience begins. You will be met by your shuttle vehicle for your road transfer to Gorges Lodge on the edge of the Batoka Gorge, 200 metres above the mighty Zambezi River (30 mins). Spend the afternoon sipping delicious refreshments by the pool, enjoying the amazing view. Then in the evening, head off to Dibu Dibu for sundowners and snacks while you photograph the lodge’s resident pair of black eagles, soaring only metres away from you. After the black eagle viewing take a leisurely stroll back to the main lodge reception area where you will be entertained by our team of talented traditional dancers. Then enjoy a tasty 3 course dinner in the main lodge area, overlooking the gorge before retiring to your chalet and falling asleep to the sound of the river rushing below you. Today, enjoy an early morning tea or coffee on your private veranda, which provides the backdrop for sunrise photography over the gorge, followed by a sumptuous breakfast in the main lodge. 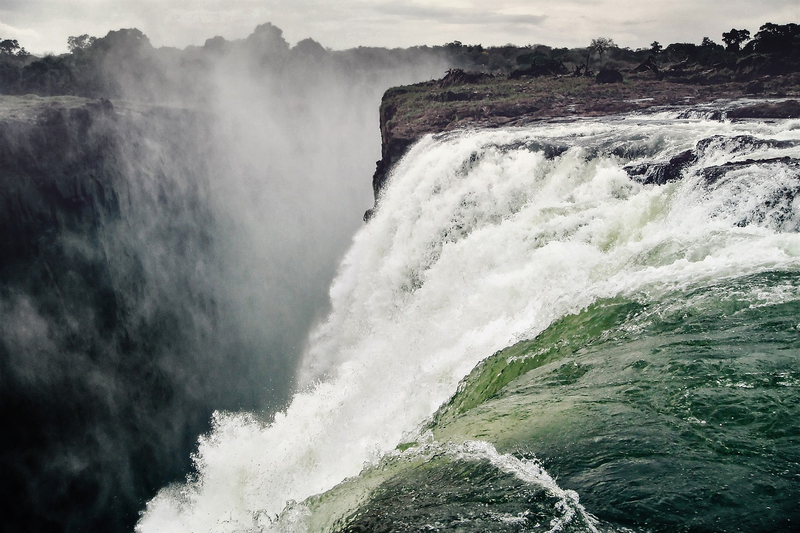 After breakfast, head into Victoria Falls town for a bird’s eye view of the Victoria Falls from a helicopter! Following a gentle take off from the helipad, you will fly out over the Victoria Falls where we will provide you with the most incredible viewing and photographic opportunity of this World Heritage site. Continuing your flight downstream over the Batoka Gorge, experience the natural beauty of this awe-inspiring dramatic feature, following the mighty Zambezi as it carves its way between steep cliffs. As we head back from the Batoka Gorges, taking a last glimpse of the falls, we fly over Long island on the upper Zambezi towards the National Park, home to a wide variety of wildlife species. This is an amazing opportunity to view game from the air in this vast National Park, as well as along the banks of the upper Zambezi River. There are great chances of spotting Elephants, Hippo, Crocodile, Buffalo, Giraffes, Kudu and many more as we head back to the helipad. After your flight, enjoy a two hour walking tour of Victoria Falls aka “The smoke that thunders.” It remains one of the most spectacular natural wonders in the world and amazing photography opportunities. Return to Gorges Lodge for a late lunch followed by free time to photograph the stunning Batoka Gorge at sunset before enjoying a traditional Zimbabwean ‘braai’ out under the stars. Enjoy a hearty early morning breakfast before embarking on your road transfer to Impofu Siding (2hours). Here you will board the Elephant Express rail car for a slow ride down the railway line game viewing all the way into camp. Packed snacks will be served on board. Disembark from the Elephant Express at Ngamo siding and then a short 10 minute Land Rover drive to Camelthorn Lodge, tucked into a magnificent acacia woodland this luxurious lodge is Hwange’s best community based safari lodge. Once at Camelthorn, settle in to your forest villa and then enjoy afternoon tea underneath the lodge’s namesake Camelthorn tree in front of the main dining area. Afternoon game drive into Hwange National Park ending up at our unique underground blind at Stoffie’s Pan which provides toenail photography moments with the wildlife that come down to drink. Night drive back to the lodge and then a delectable 3 course dinner out under the Camelthorn tree followed by coffee, hot chocolate or a night cap around the campfire. This morning, enjoy your tea or coffee before getting your day packs ready for a full day trip into the park. This excursion will include a picnic and siesta under the trees at one of Hwange’s beautiful waterholes. This day will allow photographers to capture the pristine wilderness of the area and enjoy superb game viewing. Take a leisurely afternoon game drive back to the lodge, going from Pan to Pan, weaving our way between the throngs of jostling elephants that come pouring in for the fresh water. It makes for a fun, memorable and extremely rewarding day. Upon return to the lodge, enjoy a refreshing shower or bubble bath before an authentic African 3 course dinner is served. Wake up to the warmth of your own fireplace in your villa, while sipping freshly brewed coffee or tea and later enjoy either a light continental or delicious cooked breakfast. Board your game drive vehicles for Ngamo village, 15 minutes from the lodge, for a very special morning that gives guests a chance to experience a very real and authentic interaction with villagers. 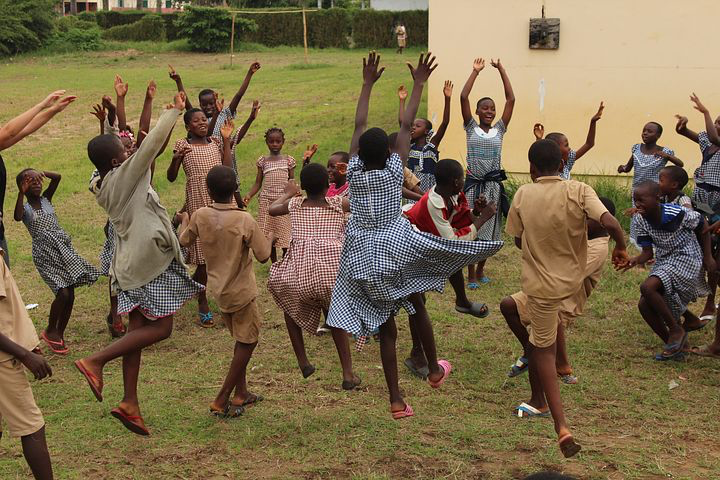 The visit culminates in a tour of the school and a singing performance by some of the children, followed by a class interaction where children have an opportunity to meet guests and vice versa. Return to Camelthorn for lunch and a short siesta. Next, enjoy afternoon tea and a game drive around the famed Ngamo plains, where our experienced guides will share their love and knowledge of the bush with you. Stop at a watering hole to watch the sun go down with beverages and aperitifs before heading back to the lodge to freshen up before dinner. 3 course dinner will be served in the main lodge area or beneath the blanket of stars under the Camelthorn tree. Today, enjoy an early morning walk in the Ngamo forest, to photograph the flora and fauna of the area, arriving back to camp for a late breakfast. Once at Nehimba, settle in and start to unwind as you take a seat with your cameras overlooking the tranquil waterhole in front of the lodge and enjoy the African rustic charm that surrounds you. Relax with sundowners as you watch the game come down to drink in front of the lodge and the heat starts to subside for the day as the sun dips below the horizon. A 3 course delectable bush dinner will be served out under the African sky near the lodge waterhole. After dinner, there will be a night drive on offer around the concession to spot nocturnal species that are just starting their day. This morning, grab your day packs and head out with your guide for a full day of game drives and walks, exploring and photographing this beautiful Northern part of Hwange National Park. The north is distinctly different from the Southern part both in topography, habitats and species of wildlife. Stop off at the Nehimba seep for a mid-morning tea break. The seep is an ancient source of water once used by the San Bushmen historically as well as being a place where elephant still dig for water and minerals. Return to the lodge for a leisurely lunch and then siesta or perhaps relax by the lodge swimming pool, frequented by Hwange’s thirsty herds during the dry season. 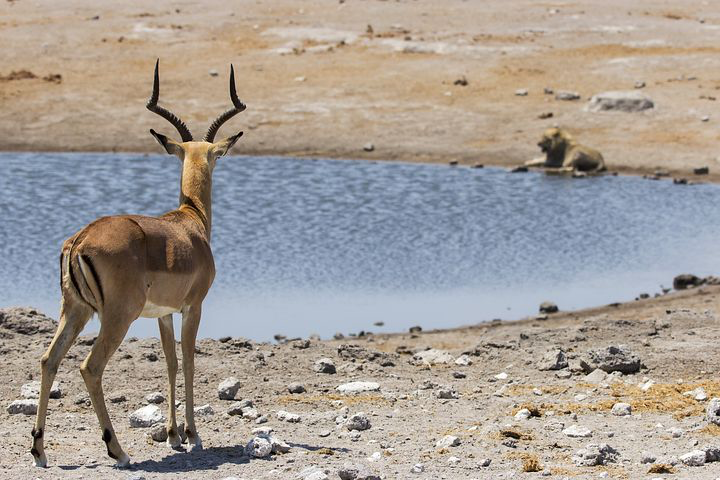 Later in the afternoon, head out on a game drive within the park, ending with cool refreshments and canapés at sunset over one of this areas famed waterholes. Back at camp our guests can enjoy a relaxing bath or shower to freshen up before a three course dinner in the main lodge area followed by reliving the days’ safari around the campfire. Early morning tea or coffee on your private deck, before a morning game viewing drive that finishes at the scenic Mandavu dam. Here you will enjoy a packed lunch while you photograph the beautiful surroundings. Return to camp to relax in the main lodge area, listening to the resident bird life around the lodge while enjoying afternoon tea where strongholds of elephants roam freely without fences or restriction. Night drive back to the lodge to be served a delectable 3 course dinner followed by coffee, hot chocolate or a night cap around the campfire. After a last early morning walk in the concession and a cooked breakfast, embark on your road transfer through scenic Sinamatella up to Zambezi Sands on the banks of the thundering wild waters of the Zambezi River, inside Zambezi National Park (5 hours). Settle into your luxury tent and then photograph the sun setting from the banks whilst enjoying mouthwatering canapés. Later enjoy a superb 3 course meal out under the stars before retiring to your tent and falling asleep as the river rushes past. Arise this morning to tea or coffee on your private deck overlooking the river, followed by breakfast on the river bank outside the main lodge. Grab your day packs and head out with your guide for a game drive and walk, exploring this beautiful part of the national park. Stop off at one of our picturesque picnic spots for a delicious packed lunch and siesta before taking a slow drive back to the lodge in the afternoon. Once back in camp relax for an hour or two in your private splash pool watching the game and birdlife on the river’s edge and in the evening head out on a sundowner drift on the river enjoying drinks and nibbles as you watch the game come down to the river bank to drink. Return to Zambezi Sands for an alfresco bush shower, congregating afterwards around the campfire with a 3 course dinner to follow in the elegant main lodge area. Enjoy your last morning in Africa sipping tea or coffee on your private deck as the sun rises over the river and the mist settles. Head out soon after for a farewell bush breakfast, where you will take in the sights and sounds of your Zimbabwean Safari one last time before taking the shuttle for the road transfer to Victoria Falls Airport to catch your departing flight. A mere 30 minute drive from Victoria Falls town, Gorges Lodge is an idyllic base on the edge of the Batoka Gorge, perfect for your Victoria Falls adventure. Renowned for their warm hospitality, gorges is famous for its spectacular views. Whether you are enjoying a cup of coffee at sunrise on your private veranda or a cool refreshment by the pool at sunset, you will be constantly drawn to the stunning vistas provided by the Batoka Gorge and the rushing waters of the Zambezi River below. Nestled in the cool woodlands on the southern edge of Ngamo’s famous Plains, you will find the Camelthorn Lodge. Here, you will be treated to a truly memorable safari experience, in pure comfort and style. Enjoy al fresco dining under the ancient camelthorn tree, savour your morning coffee in front of a roaring fire, track herds of elephant by foot, and enjoy close up photography from inside our look-up blind. This flagship lodge ticks all the boxes for your authentic African safari experience. Deep inside a private concession, nestled inside the remote northern region of Hwange National Park, hides Nehimba Lodge. Accommodations are thatched tents built on teak decks, overlooking the magnificent lodge pan – a favored spot frequented by a variety of wildlife and large numbers of elephants, particularly in the dry season. 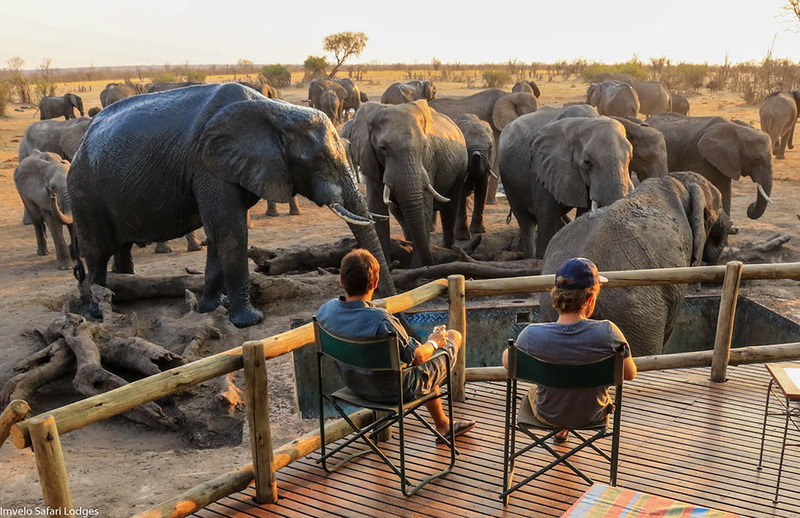 Whether you choose to track a herd of elephant on foot with your highly trained guide at dawn or spend the afternoon relaxing overlooking the waterhole on the deck by the pool, this wild and unspoiled bush paradise will guarantee you leave with memories to last a lifetime! Zambezi Sands offers a wealth of picturesque game viewing opportunities – whether you chose to drive or walk. Relax in your private deck splash pool and watch as elephants loiter on the mainland or in the river, while hippo, waterbuck and bushbuck frequent the reed banks and islands. 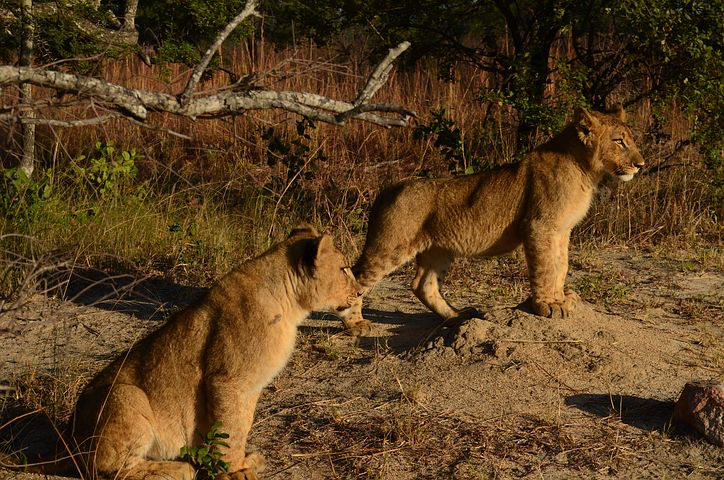 Lions can be heard calling at night and the birdlife is beautifully vocal in the morning. A perfect way to end your African nights and begin your African days!